Link3D AM Software streamlines the Consumer Products industry effort to rapidly design, develop, manufacture and distribute parts worldwide. With tool-less production, finalize design concepts quickly with industrial designers and application engineers. ​Consumer Products businesses are using Additive Manufacturing to rapidly produce prototypes to finalize new concepts before deciding on the most economical manufacturing process for low-volume or high-volume production. Brands often work with industrial design firms or in-house industrial designers to finalize concepts. Majority of these firms run through tens of thousands of 3D Printed parts throughout the product development lifecycle to craft the ideal look and feel of the product until the team is satisfied. "Rapidly produce prototypes to finalize new concepts"
As Consumer Product businesses are preparing their product for mass production, majority of the case, Additive Manufacturing is no longer in the picture. Nonetheless, Additive Manufacturing still plays a vital role in product development phase to speed-up product innovation for finalization. LINK3D facilitates the collaboration process between engineers and trusted service bureaus in their local area to produce parts quickly with the right specifications. In short, LINK3D offers a platform that supports Consumer Product businesses to grow their Additive Manufacturing expertise and service bureau relationship management on a centralized platform. Consumer Product businesses can invite all of their trusted partners to collaborate, manage orders and production schedules on one platform. Industrial design firms and in-house industrial designers can streamline order submission and management of 3D Printed parts. Streamline rapid prototyping part production with partnered service bureaus and facilities part within their digital factory. Link3D provides clarity of costs incurred across the entire additive manufacturing value chain. Quickly understand the additive costs for R&D, rapid prototyping and series production of parts with Link3D's auto-pricing solution. This makes it easier for businesses to make decisions whether AM is the appropriate manufacturing process for production. 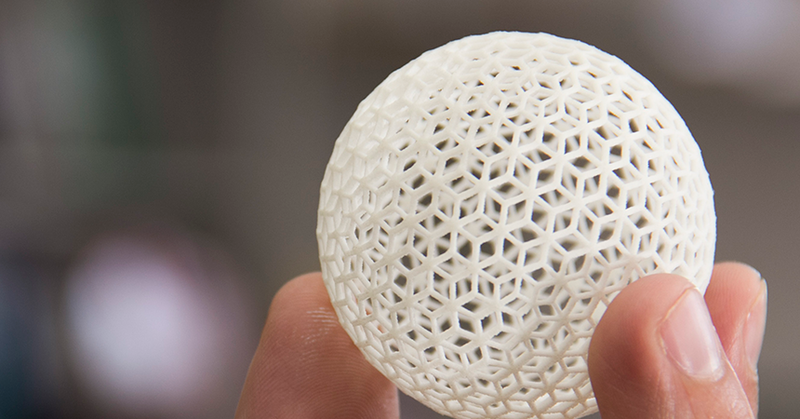 Consumer product businesses are looking to explore additive manufacturing technologies and its benefits related to product development and cost savings across the entire value chain to maintain and grow its competitive edge. Link3D's end-to-end AM workflow software simplifies data-intensive tasks, such as intelligently routing orders to the most optimal internal facility or AM supplier, generate auto-pricing and costing, quality assures all 3D files are ready for print with file analyzer and mesh healer - finally, recommending tasks for next steps to help teams complete their projects and orders in a timely manner. Schedule a call with us today and find out how industry leaders in Consumer Products are putting the right systems in place to support their new and growing additive manufacturing divisions.